The television show Great British Bake Off has turned everyone "Baking Mad," or so it seems. If anything, it has made British baking more popular than ever—which is a good thing since there are so many delicious recipes to share. Both Britain and Ireland are steeped in baking traditions and have been so for centuries, creating a wealth of recipes. Here is a collection of the best British baking recipes that are both timeless and well loved. Whether it is for afternoon tea, a family celebration, or a lovely tea time treat, a cake is the perfect sweet to bake. Cake baking is one of life's greatest pleasures and is also one of the easiest and least costly ways to put a smile on someone's face. What is not to like about it? Here is just a sampling of some classic British cake recipes to get you started. Lemon drizzle cake is for the lemon-lover as it has the zest and juice of two large lemons in the batter and syrup. 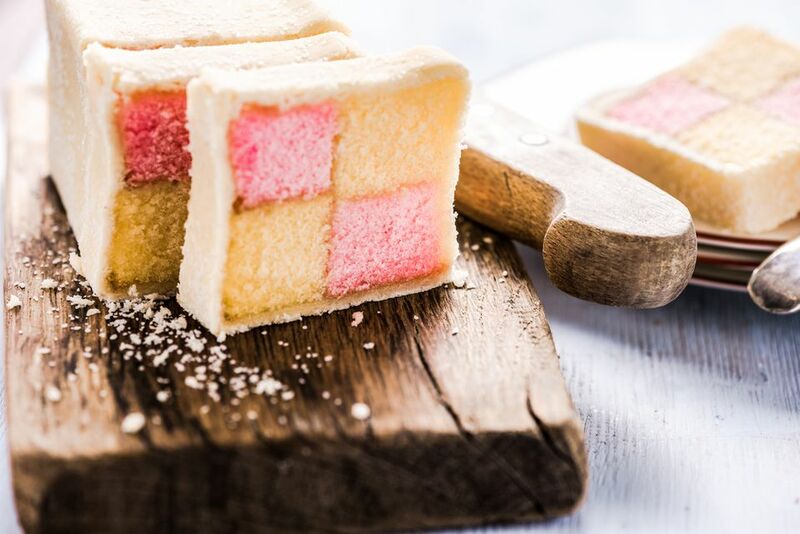 Or wow your guests with a Battenberg cake—the famous British pink and yellow checkerboard cake covered in marzipan. 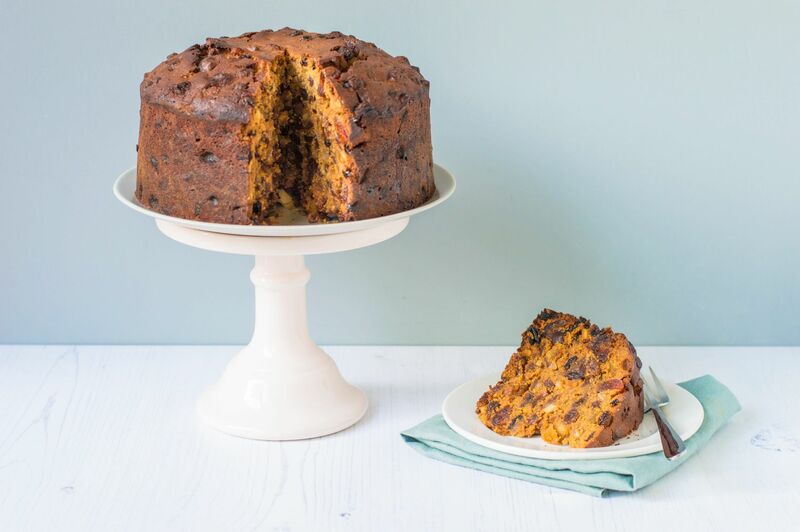 And what could be more British than a fruitcake? This recipe is unique in that the fruit soaks in tea overnight before it is added to the batter. The perfect Yorkshire Parkin is a moist, sticky cake that is dark in color and similar to gingerbread, ideal for the cold months. And often served at Christmas but delicious any time of the year is the Scottish Dundee cake, a fruitcake adorned with circles of almonds on top. Lovely pastry-clad pies and tarts—both sweet and savory—are the backbone of British baking. Whether for a lunch or a tea time treat, any of these tarts and pie recipes will add a special touch. If you are looking to serve something sweet, a Bakewell tart is a nice traditional choice—a crust is layered with raspberry jam, lemon filling, and slivered almonds. The double cream baked egg custard takes the classic British tart to the next level with double cream, giving this humble dessert a more luxurious texture. Although originally made with minced meat, mince pie now includes sweet mincemeat—a mixture of dried fruit, sugar, spices, and brandy—and is often served at Christmas. And even though we all know the phrase "as American as apple pie," the British have their own version as well—their apple pie doesn't usually have cinnamon, however, since that is an American addition. Baking does not need to be a lengthy process—in fact, many of the best British baking recipes are actually quick and easy. Scones, flapjacks, and shortbread are all classic British baked goods that are simple to put together and speedy in the oven. Next time you need a tea time treat, whip together a tray of scones. Keep it simple with easy classic scones, or add a bit more flavor with British fruit scone recipe. If you'd like something savory, cheese scones are a perfect choice. And although not the same as a traditional British scone, Scottish Tattie scones are delicious potato pancakes that will add a nice savory touch to any meal. If you want easy then try one of these flapjack recipes. You may be thinking, "pancakes at tea time?" But in Britain, flapjacks are sweet, baked bars made of oats, golden syrup, sugar, and butter, as well as added ingredients. For your first time out you may want to try easy traditional British flapjacks or a recipe that includes some fruits and nuts. Flapjacks can also feature marmalade and ginger, and are even made with Museli. If you're interested in more of a cookie, rock cake, or rock buns, are little dried-fruit cookies that are beyond simple to make. For a taste of Scotland, Scottish shortbread is buttery and tender and will melt in your mouth. If a traditional bread is what you're looking for, then Irish soda bread or Scottish oatcakes are ideal choices.